New Gear Stick Shift Lever Knob For Mazda 3 5 6 Series CX-7 MX-5. 1 x Gear Shift Knob. 6 gear (1, 2, 3, 4, 5, 6) and Reverse signs engraved on top. No modification is required. For Mazda 3 Series 2003-2017. Picture attached of grey fitted to my MK1 MX5 for reference. Universal JDM shift knob. 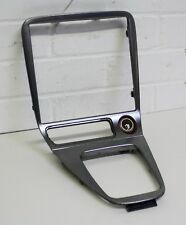 Mazda MX5 - Mk2 / Mk2.5 (NB / NBFL) Carbon fibre effect radio and gearstick surround - fits 1998-2005. Used, but in good condition, this Genuine Mazda carbon fibre effect interior trim is the perfect upgrade to your MX5 interior. Ice Cream Girl Air Freshener In Bubblegum Scent. 4PCS Door Sill (2PCS front L/R & 2PCS Rear L/R). Material:Stainless Steel, Bright face sand blasting finish. Color: Silver. Pair of Scuff Plates for a Mazda MX5 MK3. 5-Speed PU Leather Car Gear Shift Knob Stick Shifter Head Black For Mazda 3 5 6. The color of gear knob cap : black. 1 x Gear Shift Knob. For Mazda 3 5 6. Thread：YES. Durable ABS Plastic with PU leather cover with 5 speed and black cap. 5-Speed PU Leather Car Gear Shift Knob Stick Shifter Head Black For Mazda 3 5 6. The color of gear knob cap : black. 1 x Gear Shift Knob. For Mazda 3 5 6. Speed number : 5 speed. Easy and quick installation.Simply Remove your old or broken one and put on the new one. A centre dashboard speaker cover for a mk3 mazda mx5 (NC) and it will fit 2006 onwards. The old cover just pulls off and this one fits in it's place. Any item not paid for after. Sorry to all you genuine e bayers. Mazda racing gear knob fits all classic and modern mazda universal fitting. 1 pair of new Mazda MX5 MK1 Door Cards. I can also fit these for a small fee of £20 for both door cards. Panels don't include any other trim fittings (such as plastics and door handles and top arm rest). Mazda 6 2016-2018Outer Door Sill Protector, kick Scuff Plate Cover Heavy duty . Fit for Mazda 6 2016-2018. Step 3 Products are equipped on the vehicle with exactly and use a clean cloth to press evenly is attached. Gloss black Heater Vent conversion panel to fit a Mazda MX5 Mk1 model and take 52mm gauges (not included). Simply remove the original heater vent and place this panel behind the original bezel taking. MJC Automotive 5 Panel Wink Mirror. The mirrors are specially coated to absorb the glare of headlights and sun. We also have a wide range of our own parts that is increasing weekly. Waterproof and dustproof. USB Output: DC 5V 3.1A. Low resistance wire, electric current conduction force strong, safe and stable, and charging smoothly. LED color: Blue. Easy to fit and remove, with dustproof rubber cover. You will receive x4 Mazdaspeed MS Logo Badge Emblems as pictured. 3D MS MAZDASPEED Emblem. Mazda RX7 1980-2002. Mazda MX5 1989-1998. Mazda MX6 1986-1892. Mazda 323 1989-1998. Mazda 626 1993-1997. Mazda 929 1983 . Mazda 121 1985-1995. 1 x Adapter. MAZDA MX5 MK1 90 - 98 MODELS (POP UP HEADLIGHTS) WALNUT EFFECT DASH TRIM KIT. THIS IS A WALNUT EFFECT RIGHT HAND DRIVE KIT AND INCLUDES PARTS, AS PER PHOTO LINE DRAWING. This Trim kit is made with a 3m automotive backing and a high poly-flex resin for that depth of grain and flexibility. There are two wires coming out of the knob (where the ' ' is marked with a little knot on the wire). Connect the wires from the gear knob to the power source. MAZDA 626, 3, 5, 6. Other gear knobs available on the market may show signs of wear even after several months. 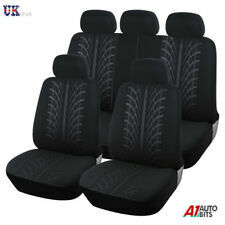 High-Quality Black PU Leather Front Car Seat Covers With Orange Piping. • Made of high quality PU leather and soft foam,provide comfortable seating feeling. 2x front seat covers. • Color: Black with Red piping. Genuine Mazda 2 Black With black Shift Pattern Gear Knob . Condition you can see in the Pictures. MAZDA 2 DJ SCUFF PLATES. LATEST MODEL. 15 PLATE ON WARDS. EASY TO FIT. Leather 5 speed gear knob which will fit a mk1 or mk2/2.5 mx5 - condition is good. 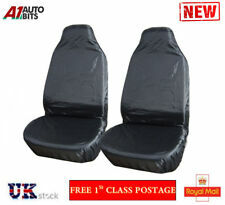 A LOVELY SET OF GREY-BLACK BREATHABLE FABRIC FRONT SEAT COVERS NEW. 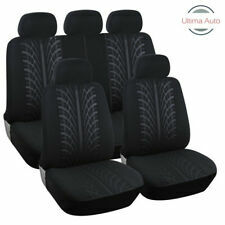 SET INCLUDE 2 SINGLE FRONT SEAT COVERS & 2 HEADREST COVERS (COMPATIBLE ON MODELS WITH DETACHABLE HEADRESTS). Machine washable at 40 degrees. New Gear Stick Shift Lever Knob For Mazda 3 5 6 Series CX-7 MX-5. 1 x Gear Shift Knob. 6 gear (1, 2, 3, 4, 5, 6) and Reverse signs engraved on top. No modification is required. Mazda 3 Series 2003-2017. Part Number - NA1PV1370. New Genuine Mazda Door Sill Protector Scuff Plate Set. Mazda MX-5 2015-Onwards. New arrivals. You won't find cheaper prices anywhere! High quality products at amazing prices. HERE WE HAVE TWO QUALITY SEAT BELT PADS MADE IN. UNIVERSAL FITTING WITH VELCRO FASTENING. GREAT GIFT FOR YOU OR ANY mazda OWNERS. THE PERFECT FINISHING TOUCH TO YOUR CAR INTERIOR. GIVES YOU EXTRA COMFORT AND ADDS. A centre dashboard speaker cover for a mk3 mazda mx5 (NC) and it will fit 2006 onwards. The old cover just pulls off and this one fits in it's place. Made from stainless steel. Any item not paid for after. Genuine Mazda MX5 Tonnuea Cover MK1 Tan in excellent, used condition. Fits all mark 1 MX5’s Shipped via parcel force 48 as soon as cleared payment is received. Many thanks. Orange Cigarette lighter cigarPLUG & SOCKET NEW Amber. 12v Orange Car Cigarette lighter kit cig socket auxilary aux. UNIVERSAL Illuminous Car Cigarette Lighter with socket NEW SEALED. · Universal Fit. The 6 speed gear knob is suitable for Mazda 3 BK BL/ 5 CR CW/ 6 II GH to replace the old or broken part. Fit for Mazda 3 BK BL/ 5 CR CW/ 6 II GH. For MAZDA 3 BK BL (2006-2012). For MAZDA 5 CR CW (2005-2013). Genuine Mazda Accessory Stainless Steel Sill Scuff Plates Mazda MX5 Mk4 & RF ND 2015>. Stainless Steel Sill Plates, MX5 Mk4 & RF. Fits all left and right hand drive Mk4 & RF models 2015>. Fantastic quality and amazing looking pair of Genuine Mazda stick on stainless steel sill plates with the MX-5 logo on them. Status Error Ice Cream Girl Lanyard. Door Sills/ Protector/ Scuff Plates Guards. MAZDA CX-5. High QualityCar Styling Stainless Steel. Images are for illustration purposes only. We will try our best to avoid any quality problem. Short: 22 (L) x 5 (W) cm. MX6 MK1 (Non airbag models only). MAZDA Bongo MX5 mk2 MX6 mk2 RX7 mk2 (AIRBAGGED MODELS). RX7 MK1(Non airbag models only). Mazda MX5 MK1(Non airbag models only). If you do not have the ability or tools to modify the boss then do not buy this for your airbagged Mazda car. MK1 & 2 / 1989 - 2005. 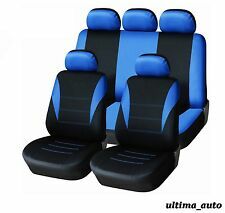 PAIR OF BLACK & BLUE SEATS. IV / HS / KA / KW / PA / PH / ZE / TR26 / TR27 / BT / IM / GY / JE / BF (see full table below). PERSONAL CHEQUE – SORRY THESE ARE NO LONGER ACCEPTED. 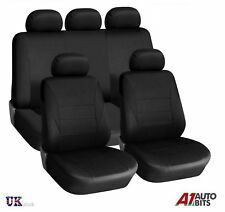 A SET OF UNIVERSAL 1 1 BLACK DOUBLE LAYER BREATHABLE FABRIC FRONT SEAT COVERS NEW. You will not sweat or slip/slide on these seat covers unlike the nylon seat covers available elsewhere. 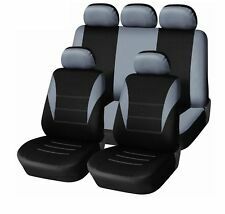 SET INCLUDE 2 SINGLE FRONT SEAT COVERS. MAZDA BONGO 1995 TO 1999. -THIS ARM REST COVER WILL FIT PERFECTLY BECAUSE IS MADE FROM CUSTOM MADE MAZDA BONGO LID COVER. - MADE FOR MAZDA BONGO NOT UNIVERSAL. -THE ARM REST LID LEATHER COVER WILL FIT OVER YOUR ARM REST LID COVER,AND ITS DOUBLE STITCHED. Mazda leather racing gear knob fits all classic and modern mazda's universal fitting.